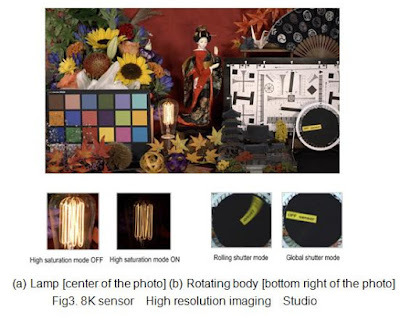 Panasonic has developed an 8K (36MP), 60fps, 450ke- saturation sensor with global shutter and with sensitivity modulation function. The new CMOS sensor has an organic photoconductive film (OPF). "By utilizing this OPF CMOS image sensor's unique structure, we have been able to newly develop and incorporate high-speed noise cancellation technology and high saturation technology in the circuit part. 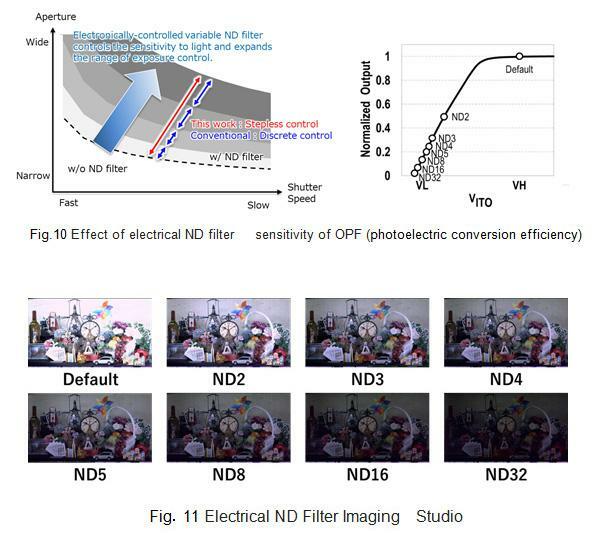 And, by using this OPF CMOS image sensor's unique sensitivity control function to vary the voltage applied to the OPF, we realize global shutter function. The technology that simultaneously achieves these performances is the industry's first." 8K resolution, 60fps framerate, 450Ke- saturation and GS function are realized simultaneously. What is the pixel size? Like AMD ,they designed without factory. Does someone know the absorption band and the quantum efficiency of a such an OPF ?